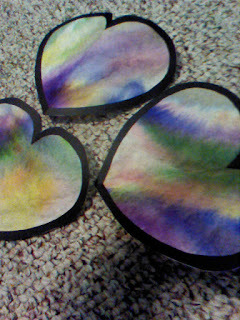 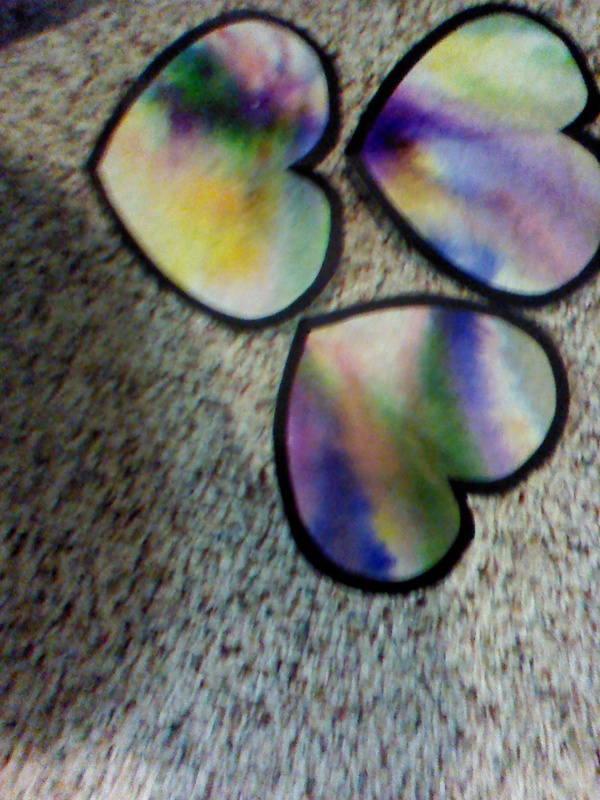 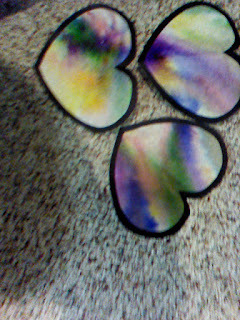 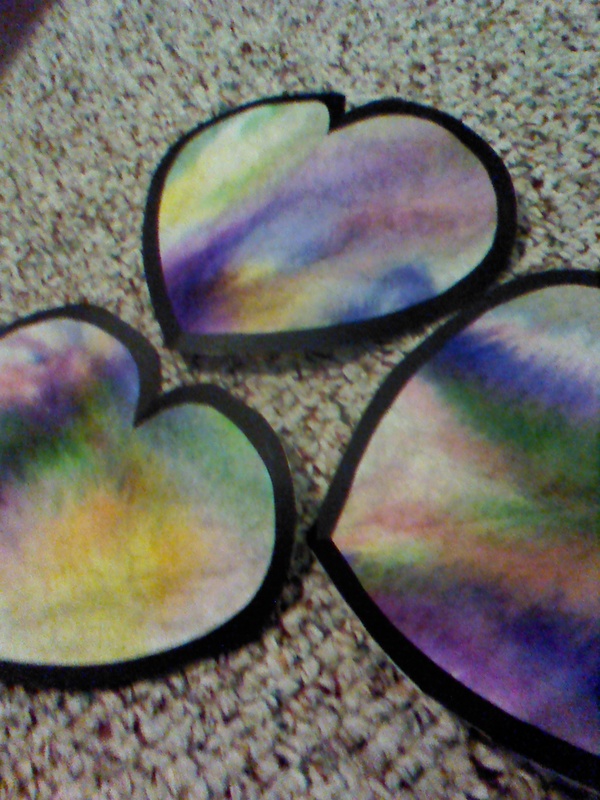 Day two of our tie dye coffee filter hearts. 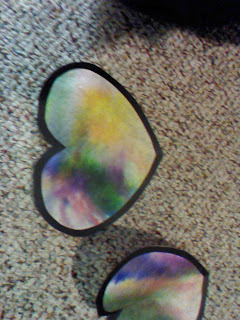 These were taken after they were assembled in there cardstock heart frames and just before they went in their envelopes to grandparents and great grandma. PLEASE EXCUSE THE UGLY BASEMENT CARPET AND TERRIBLE TABLET PICTURES.